As coupled plane frames are defined the plane frames that are connected in such a way that, subject to horizontal forces, they present uniform	displacements. The crossbars of the one-bay frames illustrated in the following figure have a practically infinite moment of inertia. Both columns of the first frame	have moment of inertia Ι whereas the two columns of the second have Ι and 8Ι respectively. In conclusion, 73% of the seismic shear force is carried by the fourth column. 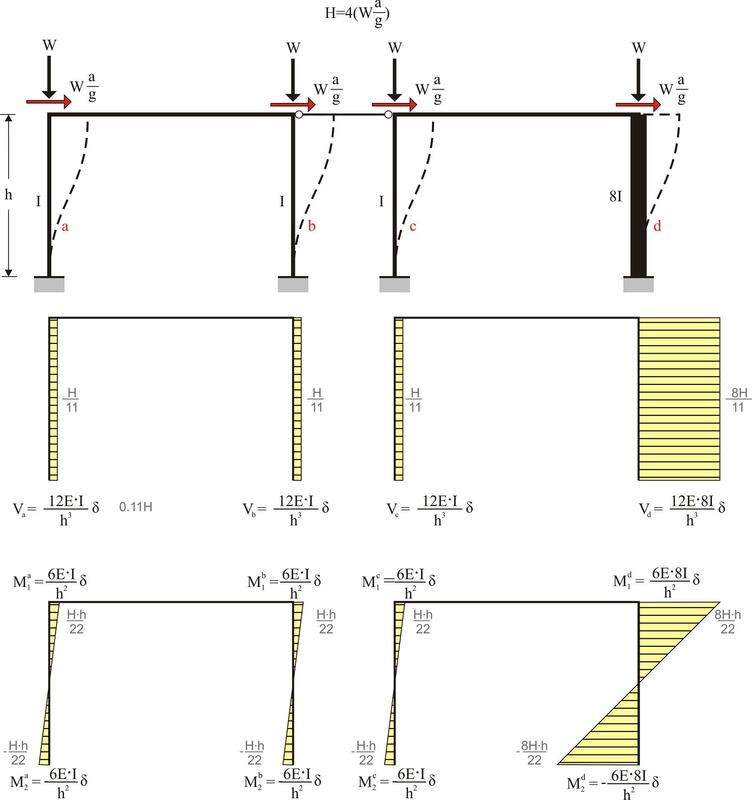 Example 5.2	: Consider that the first three columns have a typical cross-section 400/400 and are 5.0 m high and that the fourth one differs only regarding one	of its sides (800 mm instead of 400 mm/400,	Ι	800/400	=8	Ι	400/400	). The seismic acceleration factor is a	/	g	=0.10. In project <B_520> of the related software, the cross-section of columns C1, C2 and C3 is 400/400 and C4 is 800/400. 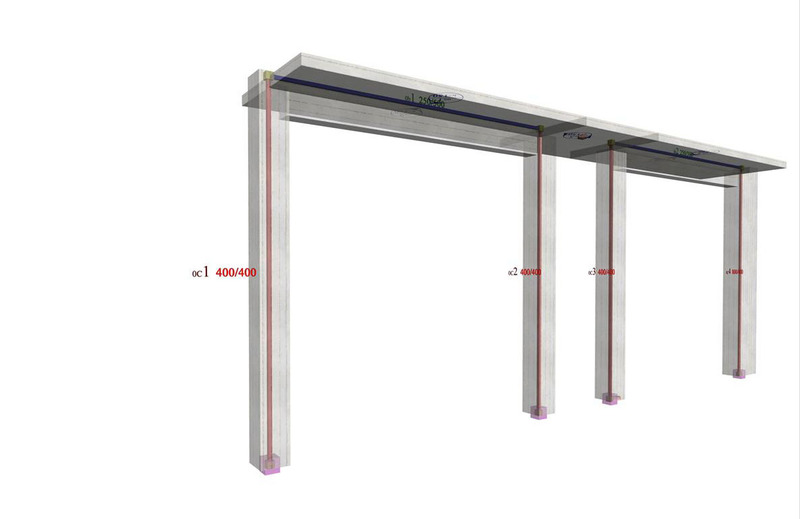 The height of all columns is	5.0 m. The cross-section of the flanged beam is 250/500/1010/150 and its span is 5.0 m.
It should be noted that the actual displacement of the crossbar δ=8.078 mm is almost twice the value of the corresponding theoretical	value δ=4.331 mm assuming fixed end conditions. This is mainly due to the strong column and the normal beam, which results	in a significantly smaller actual stiffness. differ slightly from the corresponding value (6.72·106 N/m) of the fixed-ended column. differs significantly from the corresponding value (53.74·106 N/m) of the fixed-ended column.